Uniforms changed considerably over the years. 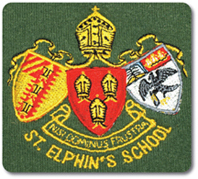 If anyone has any photos of their uniforms, or parts of, then please contact me at lizbailey@stelphins.co.uk. 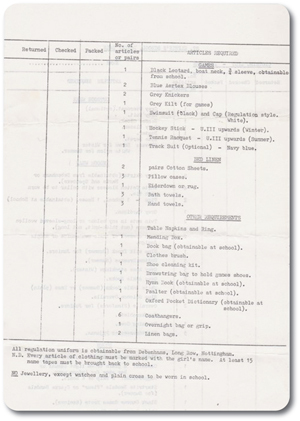 Some of the following items were supplied by Alison Davies at Audley St Elphin’s Park but we need to identify the year(s) that they were introduced. 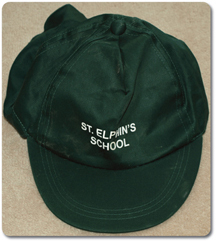 Again, please contact either me if any of the following uniform was being worn during your time at St Elphin’s. (Photos: Liz Donlan – nee Bailey). 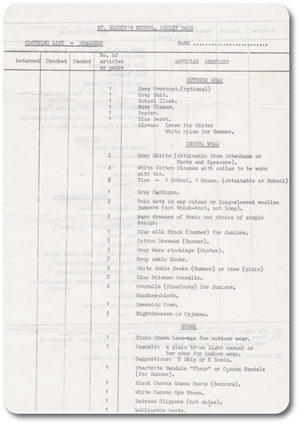 To help make it easier to find items on this page, there is an index in the box to the right. Simply click on a specific item and you will be taken to it! 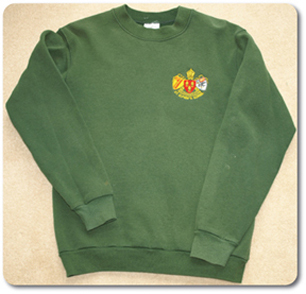 Rachel was in Pigot House from 1972 - 1977 and, in May 2017, she sent me some receipts from Griffin & Spalding Ltd for the purchase of her uniform in August 1972! 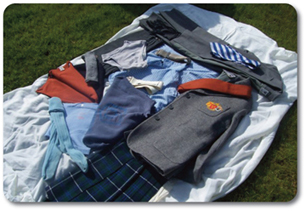 Griffin & Spalding Ltd were based in Nottingham and were one of the main suppliers of our school uniform, as well as Cole Bros in Sheffield. 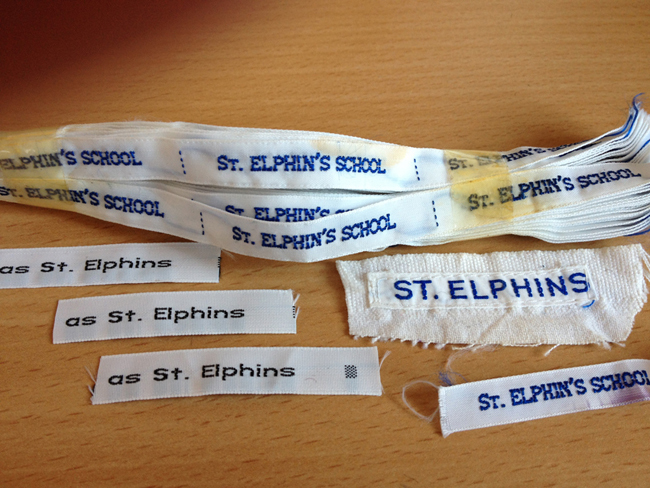 Name Tags – all items of clothing had to have a name tag sewn into them – mainly for identification purposes when they were sent to the laundry. 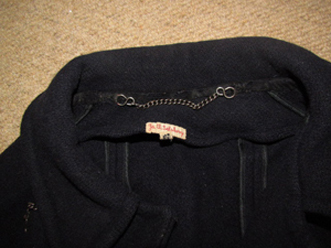 The stitching was in the colour of the house that girls were in, i.e. yellow for Gresford, dark blue for Kennedy, orange for Pigot, dark green for Powys, blue-grey for Selwyn and maroon for Wilson. 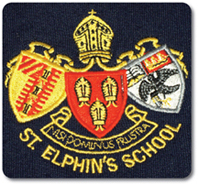 In September 2013 I was handed a box of books and, in March 2014, I found a small plastic bag at the bottom of the box containing a number of name tags with "St Elphin's School" on! 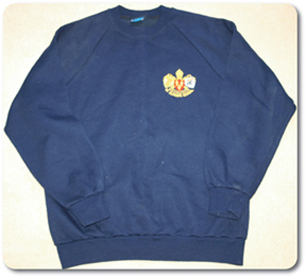 Blue sweatshirts were worn by the staff and green by children in the nursery. 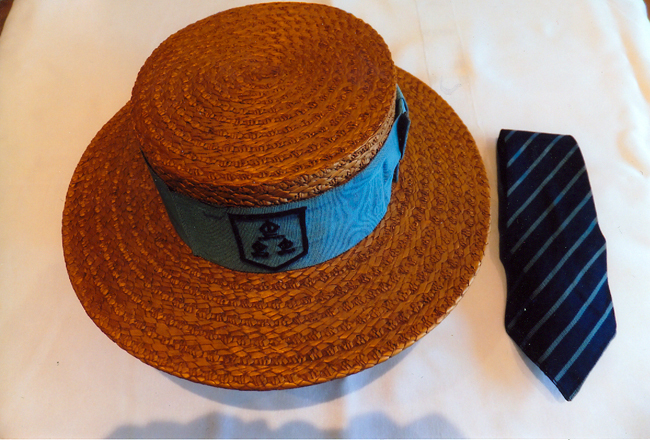 Below: Suits, school tie and boaters were the uniform of the day in 1968. Margaret & Cheryl Chalk ready to go back to school in full uniform. 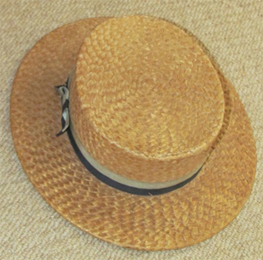 Cheryl's boater (right) is damaged due to her falling over with it whilst rushing out to see her parents at the end of one term! 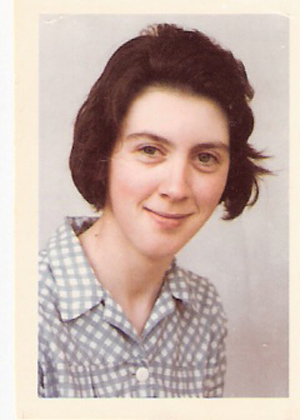 The photos below have been supplied by Jo Salsbury-Halliday (Gresford 1961-1968). 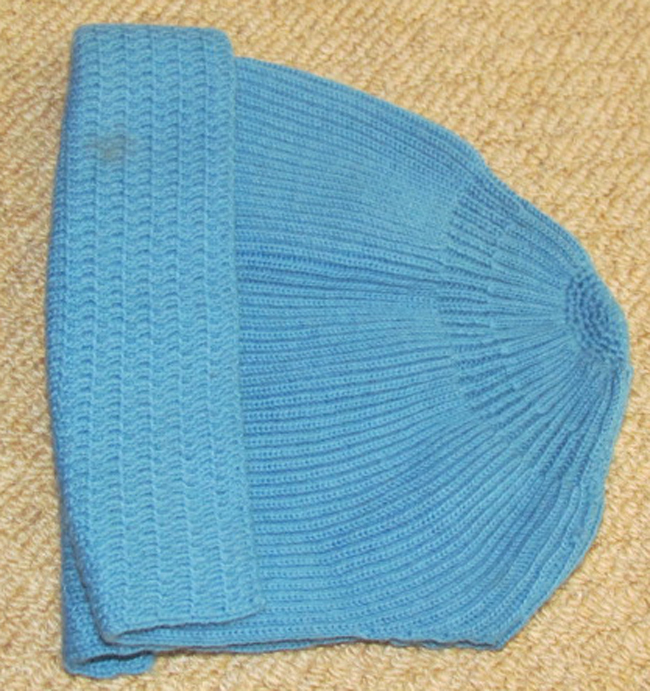 The hood of the cloak was the colour of the respective house - e.g. yellow for Gresford, blue for Kennedy etc. 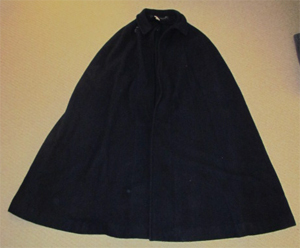 If anyone has a photos of their cloak which shows the coloured hood please let us have them. 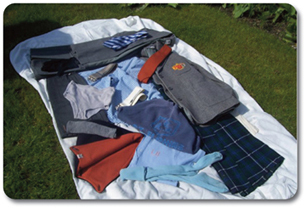 Below: Items of clothing supplied by Laura Bennett who has kindly donated it all for use in the School Memorial Quilt which is being made by Ali Gracie-Biddiscombe. If anyone has anything they would like to donate to the quilt or wants any information on it, please contact Gill at the e-mail address below. The uniform is circa 1986. (Photos: Lizzy Atwell-Dickie). 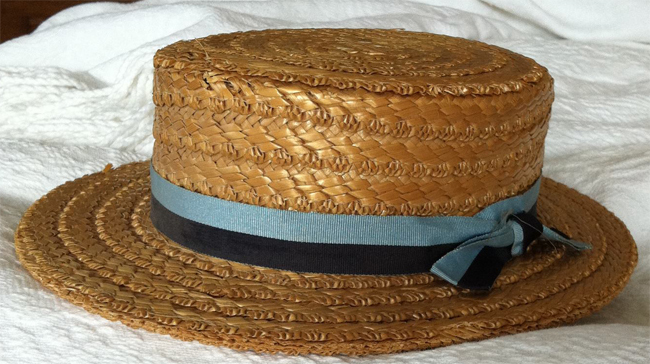 Below: Rachel Kerwick still has her school boater in October 2011! 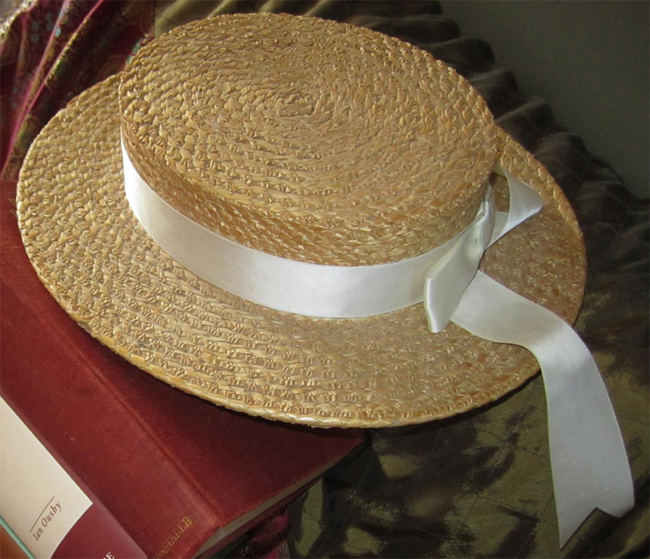 Below: Paula Terry-Lancaster also has her school boater in October 2011 - it is thought that the white ribbon appeared in the late 70s. 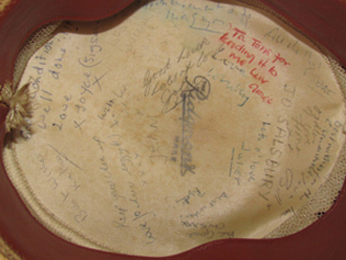 Below: Jo Salsbury-Halliday (Gresford 1961-1968) used the inside of her boater for autographs. A picture of St Elphin’s innocence - Gill & Judy Prescott in 1975! Below left: Gill and Judy Prescott show off their new summer uniforms to their Grandad in 1968. 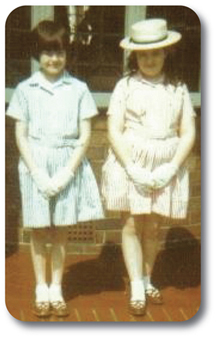 Below right: Gill (left) is wearing a newer style of summer dress in July 1976 - having changed from striped to checked. 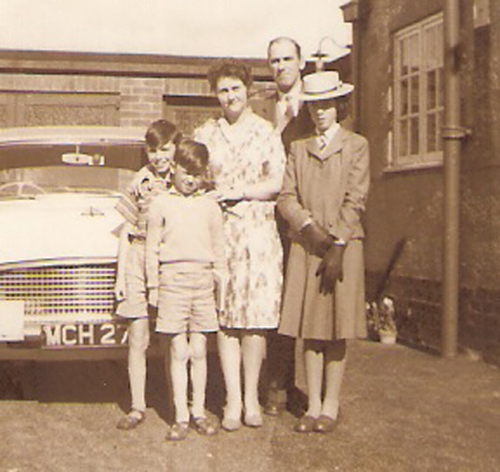 Judy (right) is wearing the formal school suit. 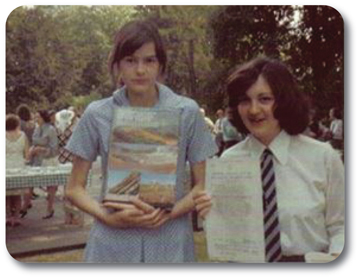 Gill had won the Headmistress’s Prize for Effort and Judy had won a Sixth Form Scholarship. 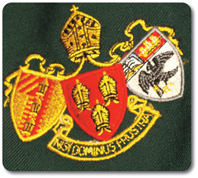 We would like to include all the house ties below, so if you still have yours, please take a photo and e-mail it to either Gill or Liz (details below). 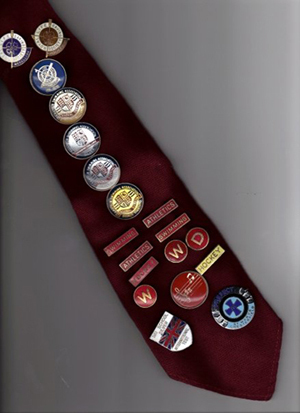 Below: Wilson House (adorned with house badges). Photo: Sharon Neysmith.